Until recently, coffee Bourbon simply meant a shot poured in your java. 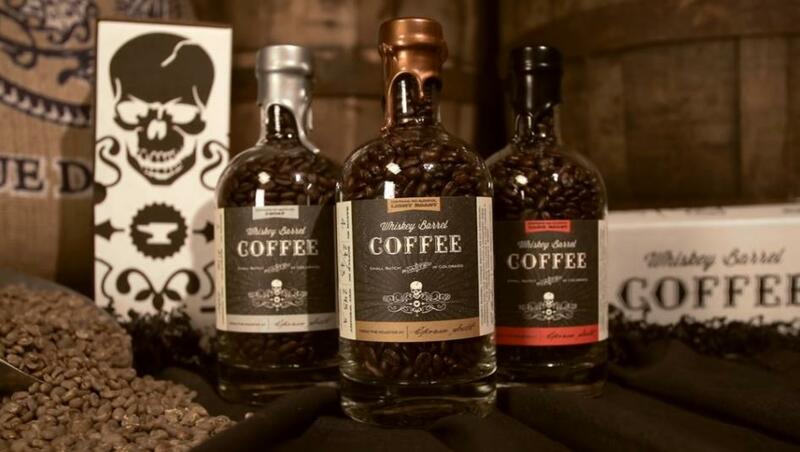 Nowadays, with whiskey’s popularity, coffeemakers are creating bourbon-flavored and bourbon barrel-aged coffees. Much like flavored whiskey, flavor houses have engineered bourbon flavors that do not contain actual bourbon. You’ll find bourbon-flavored coffee next to the hazelnut and whipped cream flavors. 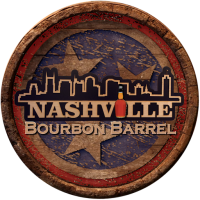 But for the coffee purist, better bourbon flavors are derived from the barrel. Sound familiar? The coffee flavoring debate is as intense as it is in whiskey. “Many people think our (Whiskey Barrel) coffee is flavored, but it’s not. We use the barrel,” says Tal Fishman, a 30-year coffee industry veteran who founded Whiskey Barrel Coffee. Fishman loves bourbon and became fascinated with the combination of coffee and whiskey. About a decade ago, the former roasting consultant started studying the flavor combinations, even sneaking a flask pour into his coffee at dinner. “It got to the point where my wife started checking my coat pockets for a dripper at restaurants. I became obsessed,” Fishman remembers. That obsession led to Whiskey Barrel Coffee, a Colorado-based coffee company that releases barrel-aged coffees in whiskey bottles. Fishman blends beans and then ages them in the barrel. His anchor bean comes from Brazil’s Vittoria Estate Coffee. He’ll blend Vittoria Estate with a small percentage of beans from Indonesia or Africa, but says that some beans cannot hold up to the barrel. “About 90 percent of coffees are not strong to fight alcohol flavor. You get (bourbon) flavors. I’ve had some people ask me: ‘What if I don’t like whiskey?’ I tell them then this coffee isn’t for them,” Fishman says. Whiskey Barrel Coffee uses a barrel broker to obtain as many barrels as possible, and Fishman’s seen the used barrel demand increase. Five years ago, he paid $125 for a good used barrel. Now, he’s forced to spend between $325 and $400. Fishman realizes that’s what happens when ideas become trends, but there are many barrel-aged coffees I tasted that just are not on par. For quality, the great equalizer appears to be aging the beans while they’re still green as Fishman does. The only bad news: Green coffee absorbs the barrel’s moisture and renders the wood useless for a second coffee use, says Tony Tausch, owner of Cincinnati-based Coffee Emporium, which ages Guatemalan direct trade coffee in used New Riff Distillery bourbon barrels. “Once the barrel is done, it is done. It dries out the barrel and the staves start falling out,” Tausch says.